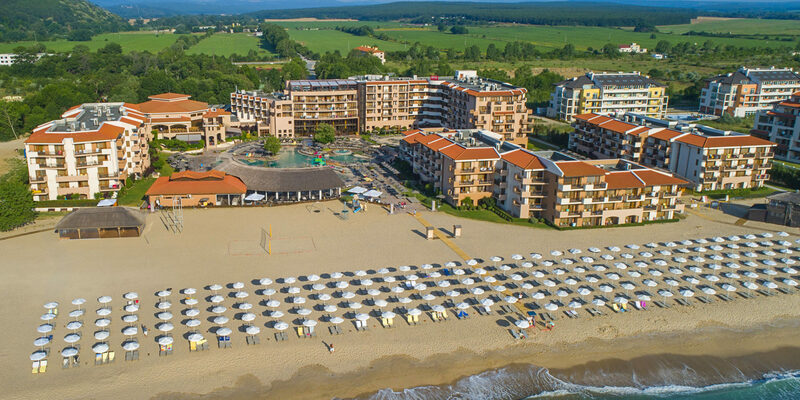 Obzor is known as one of the most favorite resorts on the Bulgarian Black sea coast. We are keeping the traditions alive, providing our guests with the best service in one of the most beautiful hotels in Bulgaria. Situated directly on the beach, HVD Club Hotel Miramar opened doors in the summer of 2006 and offers an amazing atmosphere for the perfect holiday. Spend unforgettable time on the pool area, relax on the vast beach, have fun with the various water attractions, wandering or cycling through the beautiful landscape – these and many more activities, combined with the best service, are waiting to fulfill your expectations.